Naturally, I can't resist taking some time out from my next level guide to talk to you about Sonic Generations, the almost dream-like new 20th anniversary major Sonic game whose bombshell was officially dropped last week, followed by the jaws and indeed saliva of many surprised fans I can only imagine. I mean, we all knew that something along these lines was on its way, but I for one was unprepared for just how amazing it would look. The structure of Sonic Generations.. Here's what we know: At least two stages per level, one as classic Sonic, the other as modern Sonic. The levels will reflect 20 years of Sonic history, covering three different eras, classic, "adventure", and modern, i.e. the beginning, middle and end. 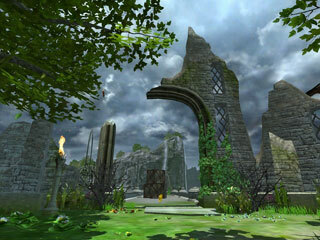 The first level is Green Hill, which, obviously accounts for part of the classic element. I think it can very safely be assumed that pretty much all the levels will be obvious clones of specific previous levels from those eras. That's about it. Well for starters I suspect, and hope, that there's more than just the two stages/acts, per level/zone. In the above video, in which both Sonic's steam through at a fair old pace, classic Sonic's stage clearly ends at around 1:40, while 'ol green-eyes is still going strong at nearly three minutes, with no end in sight. To maintain balance, I suspect that there is at least a second act for classic Sonic to complete, of a similar length, thus maintaining traditional level division patterns on both sides of the coin. Although having said that, I hope there's even more fun to be had beyond that, even if it has to be through silly little bite-sized acts like in Sonic Colours, but perhaps optional. Next there's the question of sheer amount of levels, and how they're ordered. Could it be chronologically, or a massive mish-mash of time zones colliding chaotically? Well, this is a big main Sonic game for the 360 and PS3, and if previous examples are anything to go by, I'd say around nine or ten would be the amount to shoot for - specifically nine, it's the magic number of completely individual worlds for both Sonic 06 and Unleashed. I think it's interesting that they've made a point of saying that the levels correspond to three different specific eras of Sonic's life so far. If it were a fairly disorganised series of hops back and forth in time, I wonder if there would have been any point in specifying that there were only three definite eras at all, rather than just more vaguely covering the whole 20 years. It could be to just really make their point clear that they will be covering everything, not just the first few games of the 90's, but my suspicion is that the three eras play a big role in the structure of the game itself and that it isn't just marketing talk. The game is divided into three, and conveniently, we've already decided that we're going to have nine levels. That means three for classic, three for Adventure, three for modern. Bad news I suppose for anyone hoping for a bias toward one era in particular, but you never know, maybe they can squeeze in a tenth. What isn't so clear, however, is exactly how far the boundaries of each era reach. I have my own ideas, and I believe the levels will be played, mostly, in chronological order, so each era will be played in full before the player can progress to the next. I've been having a good think about these levels for the last week, and I've narrowed down my definitive "dream team", of sorts. I've stuck my neck out and chosen eight specific levels to join Green Hill (or Greenhill as it seems to be called here), evenly distributed across the three eras. It's not an easy decision, if you're being realistic about it. On the one hand, you have to pick truly iconic worlds, all of which will be instantly recognisable to anyone who's played their native game even a little bit. An elected representative ambassador for each game, you could say. In most cases, the truly iconic one is invariably going to be the first level of any game - it's the only one every player is guaranteed to play at all (well, probably), but you can't have a game full of first levels can you? Especially if most of them are tropical paradise/jungle/beach levels. Any game planner worth their salt will try to vary the colours and content of each level as much as possible. I find the most characteristic levels for any game are often those that are most heavily featured in its pre-release media, in exciting trailers and screenshots that we all stare at for months before even playing them. Who knows by what criteria Sonic Team themselves judge a characteristic, memorable, and Sonic Generations-worthy level though. So, with quite enough introductory waffle, lets get on with it..
Green Hill Zone - Duh. Assuming there's room for a level from Sonic 2, there are many worthy options. Obviously Casino Night Zone screams out to you at the top of its lungs, and I would be happy to see it if I hadn't already seen it so recently in Sonic 4, under the guise of "Casino Street Zone". I'm sure they'd find a way to add something new to it in 3D, much like they have with Green Hill, but nonetheless it would feel like a waste of a crucial slot in the game that another long lost level could fill. Same for Metropolis really, as much as I'd love to hear an updated version of that theme tune. My suggestion? Chemical Plant Zone. Putting a personal case forward, this level is instrumental in forming my childhood, with its terrifying (and yet entirely avoidable, as it turns out) scary-water-rising bit towards the end that gave me nightmares for years. Even the Sonic Team of 2005 thought that was hard enough to warrant making a T-shirt about it. In any case, it's a well known and unique stage, and its speedy paths will be appropriate for modern Sonic too. Thanks to Sonic Colours bringing submersive water to 2.5D, that brilliantly frustrating section can no doubt be brought to life once again! With only one slot left in the classic era, we've a tough choice to make. Conceivably this could come from Sonic 3, Sonic & Knuckles, or potentially even from Sonic CD, but I'm not so sure about the latter - it would please die hard fans no end I'm sure, but I just don't know if enough people have played Sonic CD for it to be viable. Icecap Zone was my first choice, but then you have to consider the issue about the music. If it does make the cut, it'd be very interesting to see if it comes with its original theme intact, as it would perhaps shed light on whether Sega actually do own the rights to that.. And not Michael Jackson's lawyers. Still, I'm going to assume there's problems there, and go for the alternate choice of my most recently featured level: Mushroom Hill Zone. 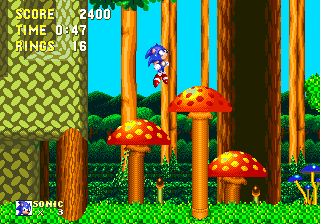 Absolutely characteristic of Sonic & Knuckles, it's a first level that's worlds apart from Green Hill, set instead in a great forest of fungi. The Hedgehog Engine would render it stunningly rich, especially if they choose to indulge in Mushroom Hill's changing seasons. I think that would be incredible personally. Well, they managed to do it in both Sonic Adventure and Sonic Unleashed - who's to say they can't tuck in the extra little treat of an aerial battle in the skies that can emulate the Sonic 2 side-scrolling original and even the more fire-powered Sonic Adventure version as well. Imagine a classic Sonic and Tails in the Tornado 1, joined by their modern counterparts in the Tornado 2 as they chase down the Egg Carrier together, crashing through time toward the Adventure era!.. For Sonic Adventure's contribution, I would avoid Emerald Coast as a full stage - I know it's not quite the same as Green Hill, but it is very similar. If Icecap Zone doesn't make it into the classic portion, it could reappear here in Sonic Adventure form very easily, but in this particular list of mine, we don't have a bouncy/pinball style stage yet, which I would argue is more pressing. Casinopolis is too odd to really translate effectively into either game mode, Speed Highway's a bit generic - I would suggest Twinkle Park. Classic Sonic's take on it could borrow many elements from the likes of Spring Yard, Casino Night and Carnival Night to help ease it into this unfamiliar territory, in addition to Twinkle Park features like exploding barrels and bumper cars. The thing about Sonic Adventure 2's levels is that, well, they're a bit bland aren't they? Very enjoyable of course, but also really story-lead, and I wouldn't particularly want to find myself in dull corridors of government bases or space stations. Green Forest and Pyramid Cave are much more interesting, but I think the only real option here is City Escape, complete with irresponsible barging of traffic whilst road-boarding and cheerfully cheesy lyrics. Whale fans still mourning about Emerald Coast's rejection could easily be comforted too, as San Fransisco is by the coast, is it not? Surely there's no reason why Sonic(s) couldn't be chased by both a whale and a massive truck in the same level! Insert controversy here. I see no reason why Sonic Heroes couldn't find its way into the Adventure era. Regardless of what you think about it, it's an important part of Sonic's history, and it's chronologically closer to the adventures than anything particularly recent. Unlike SA2 as well, its levels are incredibly vibrant and visually interesting so I'd be happy to see any of them really, although perhaps not Seaside Hill, it's had several reincarnations already and is ridiculously similar to Green Hill anyway. The next most iconic level of this game? Well, could be Casino Park, which isn't a complete clone of Casnio Night, but level number 6 is a tad late for a casino level to pop in isn't it? 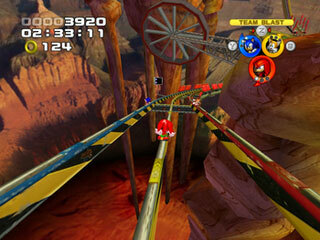 For me, it has to be the unrelenting grind-fest of Rail Canyon, perfect for modern Sonic. What exactly Classic Sonic is supposed to do with all those rails is another matter of course, but we'll find something for him. Perhaps he can spend more time in the more internal areas of Bullet Station, or mess around with some small crane-based puzzles. Quite a good opportunity to try some brand new 2D level features actually. I think this hectic dash through Sonic Unleashed's Spagonia country deserves a place amongst Sonic's best bits, and is among the most characteristic levels in the game that could competently sit at level number 7. Perhaps change the lighting a bit to more of a sunset, just to make it seem like more than just an exact duplicate of the original, whose graphical prowess and attention to detail will be pretty much identical to this one anyway. More minor acts in this level saw a trip through the torch-lit sewers beneath the city, which might be a nice place for classic Sonic to explore. Sonic 06? Boooo, booo.. BOOOOOO! ..Yep, get over it. This era in general is certainly where I had the most trouble, and I'm not really sure if the likes of Secret Rings, Black Knight or Sonic Colours really quite fit into it. Sonic Colours just seems too recent enough to really have made a mark in the history books by this point, especially when you consider its production will have overlapped slightly with this game. Black Knight I don't think really had an impact on anyone. We could quite easily see something from Secret Rings I suppose, but this process is becoming quite a subjective one by this point, and I've decided to with go with Kingdom Valley. The first Sonic level to begin with the letter K (probably my favourite completely useless Sonic fact!) slots in neatly as a penultimate level, it's not really similar to anything so far, and has a number of interesting, unique features to utilise. I've always been quite excited and intrigued by it, so I'm going to give it another chance. Ooooh, more controversy! Not only have I picked one of the longest and most utterly frustrating final levels ever, I've also gone for two Sonic Unleashed levels!? Hear me out. I believe that if there are only going to be nine levels, Sonic Team will divide them equally between the three eras, and for me, nothing else quite fits into this era, other than three levels from arguably the two major Sonic games of this time (based on budget and general "big-ness" rather than popularity or anything else). 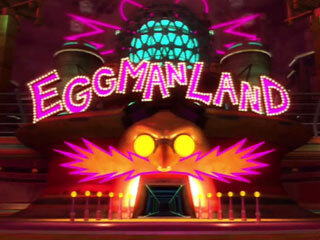 Secondly, it is a honking great huge, notorious level, I think the ultimate final level really, especially as Eggman had been going on about building it for an entire decade before finally doing so - makes sense to me. In any case, these are all just mostly visual ideas and templates, how enjoyable any of these levels are in their original forms bear no impact on their level of enjoyment in this game, as they are all very likely to be redesigned entirely from scratch anyway. What's more, I've had another theory. By including two Sonic Unleashed levels, you're bringing ready-made graphics into your game that most people probably won't mind seeing - you've immediately got all the visuals you need for two full levels, so resources for designing maybe one more are freed up! I think for this reason we could see a tenth full level in this game after all, and it could be anything! How about if there are two final levels? Perhaps only modern Sonic tackles Eggmanland while classic Sonic is brought back to Scrap Brain Zone, providing a kind of neat balanced symmetry to what levels from what games are included. Two from Sonic 1, two from Unleashed sounds pretty fair to me. ..Anyway, those are my official predictions right now. I encourage you all to try and piece together your own, and then probably see how wrong you are, as indeed I will, I'm sure. It's not quite perfect on my list anyway - we've got some opportunities for a few splashes of water here and there but no full on water level as such, and it almost seems wrong to have no casino level in this game that is supposed to cover all of Sonic's most iconic bits, but frankly, there's been so many that not everything will fit. Especially if you want to include any of Sonic's more secondary adventures like the Advance or Rush series. Trying to cram in something from up to fifty-ish games just isn't going to work, is it? Arguably you could shrink down the modern portion to make room, but my personal hunch is that they won't do that. However I do hope that by shamelessly recycling some recent graphics, they will just about be able to make room for some additional material elsewhere. To be honest though, I don't think there are many classic stages or references that they could add that I wouldn't be thrilled to see, this is an incredibly exciting game from virtually any angle, and for me, the months between now and its release cannot pass quickly enough! Comments 26 Comments have been posted. Personally, I would have chosen Launch Base Zone for the third zone, because I think it could be tied into the plot. First: I would be surprised to see too many levels from Unleashed/Colours, seeing as how they are such recent games... on the other hand the reused bosses in Colours make me worry that Sega isn't shy about blatantly recycling content. Though, if C.Sonic gets 'classic-fied' versions of them that might justify their inclusion. Well, I'd want something like Marble Zone from Sonic 1, Ice Cap and Lava Reef from Sonic and Knuckles, and may Sandopolis, Casino Night from Sonic 2, Carnival Night from Sonic 3, Twinkle Park from Sonic Adventure, Windy Valley from Sonic Adventure, Kingdom Valley and Crisis City from Sonic 06, Toy Kingdom from Sonic Advance 3 and so on. BTW, I hope you (the creator of this article and many stuff of this site) don't mind me asking, but when will you finish that Flying Battery portion of the Sonic and Knuckles guide? My submission is= Frog Forest, Water Palace, Egg Rocket, Levitated Ruin, Crisis City, Dragon Road, Lost World, Bingo Highway, Lava Reef. @Sonikku-Nation - I'm about half way through it. It's mapped and the text is finalised, I need to do the screen shots now and wrap it all up, though I am quite busy, so maybe two-three weeks. @LiQuidShade: What?! Come on! Why can you not finish it now? Ha! I'm just kidding around with ya. Still. 2-3 weeks, I can be very patient enough for that. Just take as much time as you need. Best case scenario for me would be Star Light, Chemical Plant, Hydrocity, Ice Cap, Flying Battery, and Stardust Speedway. I honestly could care less about anything from the 3d era. Its the 16 bit era that made Sonic who he is, not the 3d. Sonic Adventure was fine, but my childhood was the 16 bit era. It would also be interesting to see the new version of the music with real instruments. Only nine levels? OH NOES! So many zones I want to see returned that aren't going to make it in. I want Marble, Labyrinth and Scrap Brain to return from Sonic 1 alone. I also want Aquatic Ruin (one my favourite zones ever as you might have guessed from the my name), Casino Night, Mystic Cave and Wing Fortress from Sonic 2, Hydrocity, Marble Garden, Icecap, Launch Base, Hidden Palace, Sky Sanctuary AND The Doomsday. I need 14 slots just for the classic era. But LiQuidShade, you do have very good choices for the classic era. CPZ and MHZ would be great. Sadly, I have not played the Adventure era, I have played Sonic Heroes however but that game was so full of bottomless pits that it made it rather difficult to progress in the game. I haven't played the game in ages, can't really remember anything about now. Same goes for the Morden era (jeez, where have I been? ), I've only played the rather recent Sonic Colours so I can't really say anything about choices from that era. I am a little disapointed that you chose twinkle park. It is not one of my faviourite levels. I think there should be an outer space theme, after all Death Egg is my faviourite zone. There should also be a sky base type zone, winged fortress, sky deck, or final fortress (which I found to be too easy for a last zone) A good old last story would also make a nice addition to the game. I wonder what the special stages will be like, and if there will be a form of super sonic. And lastly, how could a zone like chemical plant be transformed into 3d? There's certainly some key Sonic level tropes missing from my list, although I was going under the assumption that each era will be completed consecutively, which doesn't have to be the case at all, it depends on the plot really. Sonic(s) could easily jump back and forth through time as they go, opening up possibilities like Death Egg or Wing fortress, which should really appear at the end of the game I'd say. What I was really going for here though was a realistic prediction above all else. It's not necessarily my own personal dream list, but I think because this game promises so much (perhaps more than a Sonic game ever has really), it leaves room for a lot of disappointment if you don't get all the levels you were hoping for. It's all very well to list out reams of them you'd like to see, but I think if you're expecting any more than 3 or 4 (maaaybe 5 if you're very very lucky) classic levels, then you're in for a big let down. They only have so much room, and what I think is a clear determination to cover the whole 20 year history, so my advice would be to try and make the most of whatever you're given, otherwise no one's going to be completely happy with this game! I think that 12 levels should total (four per era). I like your choices for the latter two, but we should have a bit more. In the modern era, maybe we could see one colors level. In the classic era, I'd ditch chemical plant for something sonic CD, like wacky workbench. It fits the level trope (premature industrial) and is more of a call-out to classic fans. But that leaves one question:which soundtrack to use? As most of you, I'd wanna see the Japanese soundtrack, but there is also one last thing: time zone? I'd find past most fitting, because it's a level from the past in the past! (and it would solve the soundtrack issue). I'd also personally want to see flying battery over wing fortress. It's more iconic and is more likely to be recognized (second level vs. Second-to-last level). But that leaves something to Change from mushroom hill. Maybe casino night? LiQuid, this article is excellent. I've been looking around the net for people's opinions on what the levels will be in Sonic Generations', and none of them are as thoughtful or as realistic as this list. I was hoping someone out there would make a well thought out and likely prediction like this... and you did! Thank you! I do hope they take a level from Sonic 3 and a level from Sonic and Knuckles respectively. And then perhaps make the final level Death Egg, since it is a stage which has spanned multiple games and even had an alternate incarnation in Space Colony Ark. I think that'd be fitting. It would be amazing to race side by side with Metal Sonic in HD. Stardust Speedway please! I have managed to narrow down my oversized list of choices but there probably are people out there that have an even longer list then what I had. Heck, choices and decisions...3, 3, 3? 4, 4, 4? 6, 3, 3? I would honestly go with the unfair 6, 3, 3...well, if some of the zones wanted don't make it in there is still Sonic the Hedgehog 4...right? Seriously it would be amazing if these were the choices. Make it happen Sonic Team! - Hidden Palace Zone: Now I know that this doesn’t really count as a zone, seeing as it’s one act long and there solely from story purposes, but I love the whole “confrontation with the Guardian” mood. The only letdown is that Knuckles was pathetically easy. Not [just] because he had some bad A.I. programming, but because his moves were limited to the ones that you can do when playing as him. If he could pull off some “HOLYCRAPIDIDNOTSEETHATCOMING” moves, then I’d write him off as one of the best bosses of the game, and Sonic Generations has a big enough chance to do just that. - Sunset Park Zone: This game gear level felt like an unsual, yet almost instantaneous, classic. The whole place felt all un-Sonic-y in a sense that running to the right wouldn’t get you anywhere fast, except to instant death. Now, while this level did tone down the running, platforming and exploration had heavy emphasis, which reminded me that this wasn’t just a game showing off a speedy little rodent. No, it was about a speedy little rodent that could jump. And, as you probably expected, Act 3′s music was flat out awesome. There. I said it. 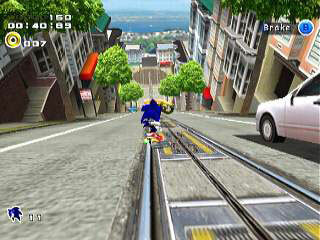 - Hill Top Zone: This level has got to be the most underrated level in Sonic 2. Possibly in the whole genesis era. Heck, I like this one better than Chemical Plant zone, which I find to be too heavily praised (much like how I find Sonic 2 just to be Sonic 1 with the addition of a [playable] stalker). Now, before I drive this tangent any further, there’s just something that I find to be enthralling about the lush Blue Hills in the Mountain Tops. While its musical theme was freakin’ weird (in a good way), the stage itself was unique all in its own way. And it had lava. I’d love to see HD lava in a Sonic game. - Stardust Speedway (Boss): Okay, maybe asking for a boss throwback is pushing it, but darnit I loved this boss. Heck I loved ALL of the bosses in Sonic CD. They weren’t just “How many times can you hit Eggy?” bosses, they were “can you even find out HOW to hit Eggy?” bosses. Except for this one. This one was all about staying alive. But not because Sonic had to wait for Eggman to kill himself (like for many bosses in Sonic 3K), but because Sonic had to pass a trial of only one surviving. To this day, I still feel the adrenaline rush from this boss. In a way that no other boss (in the Genesis Era) has given me. - City Escape: Possibly the MOST memorable Sonic Adventure 2 stage out there (thanks to the demo in the Sonic Adventure 1 casing), City Escape is downright awesome. A lot of us take this stage fro granted, you’ve got so many cars (parked/moving), so many buildings, so many branching, yet inaccessible streets [for practical reasons], and an awesome feel of outrunning the cops in the most ridiculously cool way possible. - Sky Deck: Everyone remembers Sky Deck. Who doesn’t? As glitchy as this stage may or may not have been in its latter sections, it was still fun to play. I just love the feeling of taking down a carrier at high altitudes, from the inside out. You know, until I found out that all I had to do was push a button under Eggman’s seat to do it. So the feeling died. But that’s not to say that the feeling was never there. Either way, I’d love to return to those amazing heights in stunning HD. - Kingdom Valley: This stage was just beautifully epic, and possibly my favorite in the whole game. 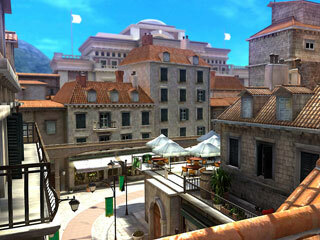 Granted, White Acropolis had an unorthodox appeal to it (stealth in a SONIC GAME? ), earning it some favoritism, but it just pales in comparison to Kingdom Valley. Crisis City also had its high points as well, and I wouldn’t mind seeing that one again either. On the subject though, Kingdom Valley was so mythical and felt so… RIGHT. It was basically the level that made Sonic ’06 have ANY reason for picking the game back up. You know, besides its unbelievably stellar soundtrack. The point is, the level has so much more potential to build upon from its roots and Generations has a chance to do it justice. - Pirate Storm: Sonic and Secret Ring’s main and possibly only REAL issue was the auto-run system. But that didn’t keep me from absolutely adoring this level. You see, this level did what so many others these days [and in the classics too] were too humble to do: it destroyed all sense of subtlety. Instead of taking the “Hey look at that, there are some cannons firing in the distance, that’s a nice touch” path, they took a “F**K CANNONS IN THE DISTANCE, I’M RIDING CANNONBALLS!” path. And that brought back that never-a-dull-moment sense from the Adventure days. Heck, even more so than those. Can I have Sonic doing tricks from cannonball to cannonball in a midair free fall? Only generations can bring me that. - Skyscraper Scamper Daytime: Okay, so this one is basically City escape on steroids, but how awesome would it be to see a 2D rendition? Complete with all of the steep drops and building hopping that Rooftop Runway could only dream of. Get rid of the speed boosts and then you’d have pure, 100% momentum that propels you past the screen. Unlike Chemical Plant Zone and most modern levels today. Since this is already a Unleashed/Colors style, I guess that it would be quite redundant to do this as Modern Sonic, unless it has a whole new perspective. 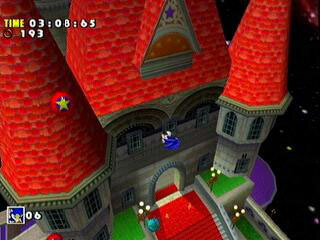 Sonic heroes: Hanging castle or Bingo highway. Sonic 06: Crysys city or Kingdom Valley. Sonic Colors: sweet mountain or Starlight carnival. probably gonna be planet wisp. The next ideas are from non canon sonic games, but can be cool as future DLC ad-ons stages. Shadow: Mad Matrix or Lost colony ark. Black knight: Molten Mine or that lava stage. Riders SAGA: Gigan rocks, or megalo station or something like that. 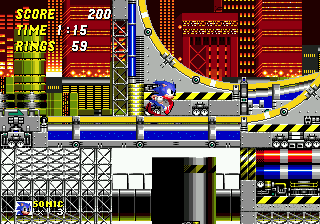 Screenshots released of chemical plant zone, and stardust speedway, and whats more on SEGA's website!!! LQS DO NOT READ THIS, anyway wowowowowowowowowowowowowow!!! TONES of new videos and screenshots released for sonic generations (including mushroom hill 4 the 3ds) AND Sonic 2 Final boss. cannotwaitcannotwaitcannotwaitcannotwaitcannotwaitcannotwaitcannotwaitcannotwait!!! (all revealed on sega sonic gens home page(seaside hill, rooftop run and more).